Does your family want some time outside this winter, time that includes scavenger-hunt-like fun and multi-sensory exploration? Try birding – it’s as easy stepping out your door! Winter is the ideal season to take up bird watching as feathered friends flock to the Northwest. 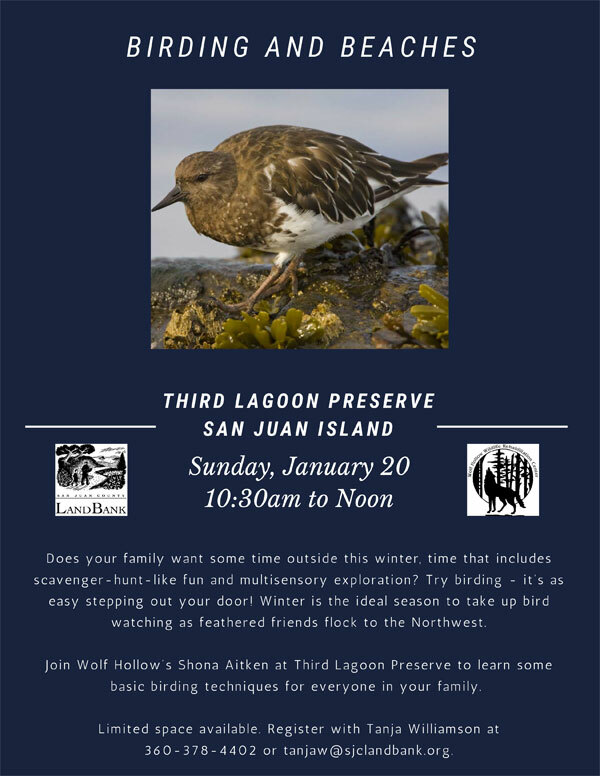 Join Wolf Hollow’s Shona Aitken at Third Lagoon Preserve to learn some basic birding techniques for everyone in your family, Sunday, January 20, from 10:30 am to noon. Limited space available. 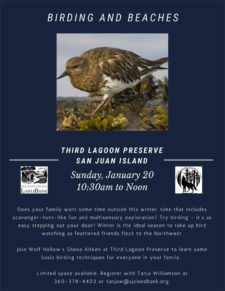 Register with Tanja Williamson at 360-378-4402 or tanjaw@sjclandbank.org.